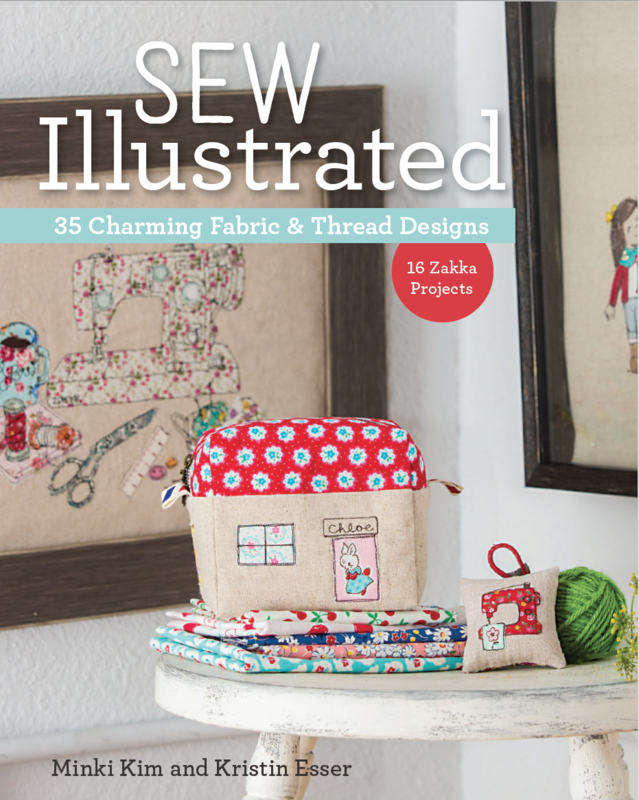 Believe it or not, Elea Lutz was the first fabric designer I got to know when I was preparing my first book, “Sew Illustrated” with my friend Kristin Esser. I liked her Milk, Sugar and Flower collection very much and was so curious on how she did it and wanted to know her more. 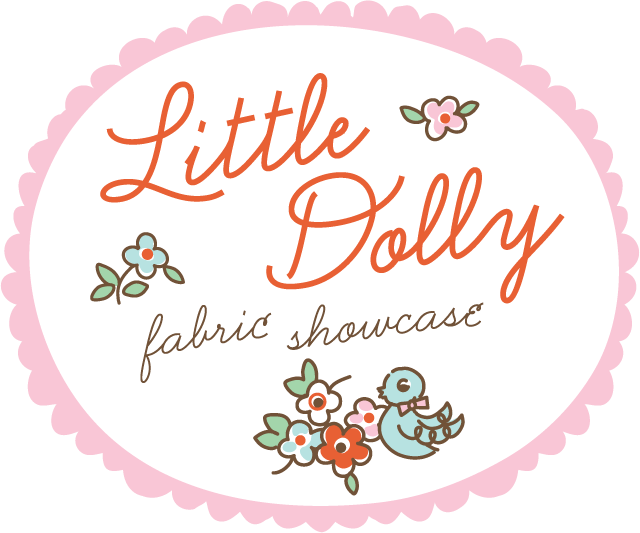 Today is my second time that I take a part in her new line showcase, Little Dolly for Penny Rose Fabrics. Am I excited? 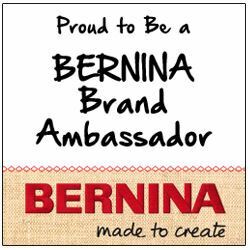 Heck, yeah! It’s about DOLLS! 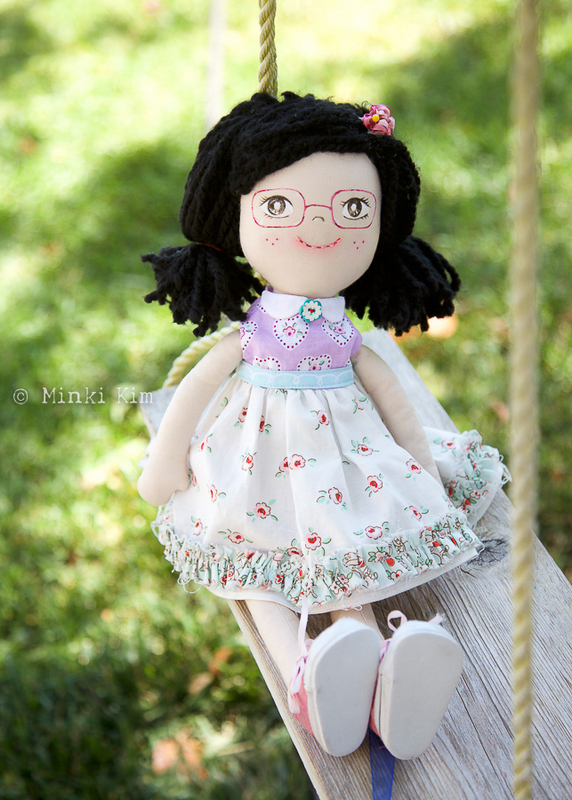 Don’t forget that I am a mother of three girls who grew up with handmade dolls! 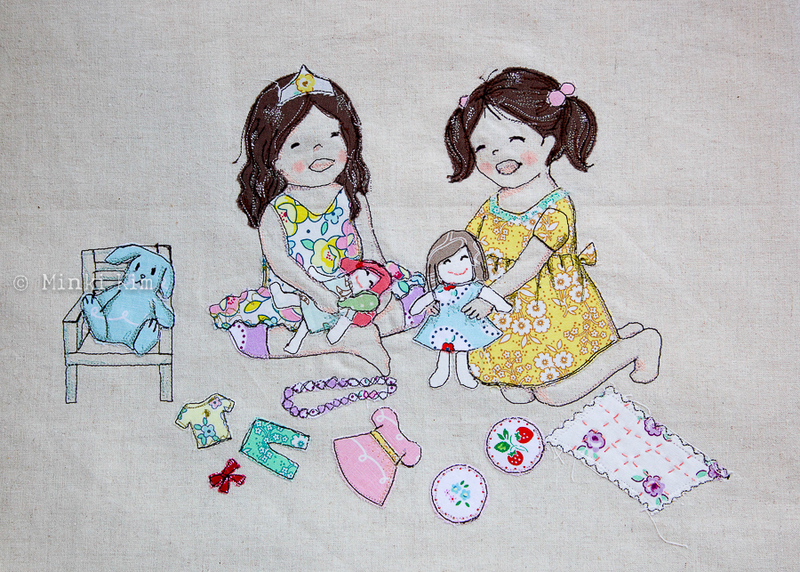 When I received Elea’s sweet new fabrics, I already planned to draw Claire and her best friend’s doll play with threads. I pretended I was doing something else but I actually was spying on them as they played and tried to remember their leg positions and their doll play setting. To be honest, my youngest daughter, Claire in the yellow dress and nicely combed pig tails is the only lie. In real life, her long hair is as hard to keep neat as it would be with Rapunzel. She was so excited, it felt like Christmas in summer to her, as I usually make her a doll as a Christmas gift. She ordered me to put a pair of glasses and little freckles to look like her older sister. Her name is Ally and she is her new best friend. You know, My 7 year old gets a new best friend every time a new doll gets sewn up. 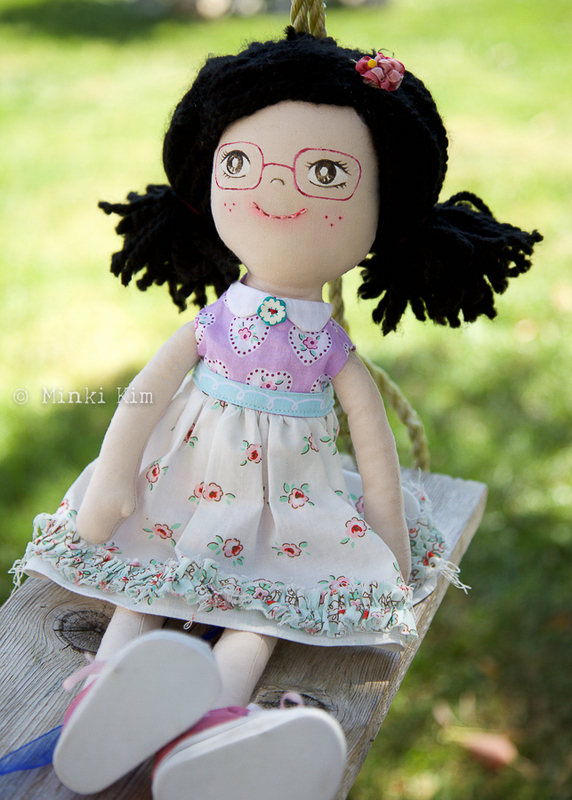 This Doll dress was inspired by Elea’s upcoming book, Dolly. 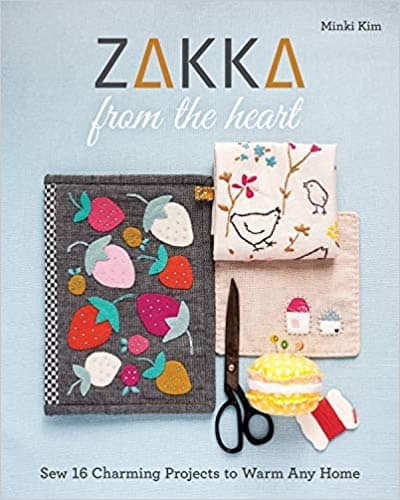 If you never made a cloth doll and want to learn how to, this book will tell you how to start. Claire even picked underwear too. I think it was the perfect choice. And lastly, this play mat is her new favorite blanket. And mine too! These fabrics are only few out of many from the fabric collection. Check out Little Dolly collections for more. 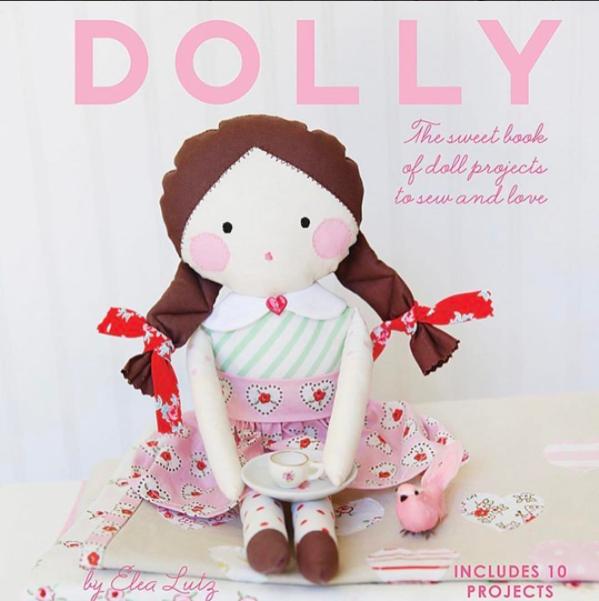 I hope you enjoyed my Little Dolly story and don’t miss other projects by awesome makers! Thanks for stopping by, dear friends! 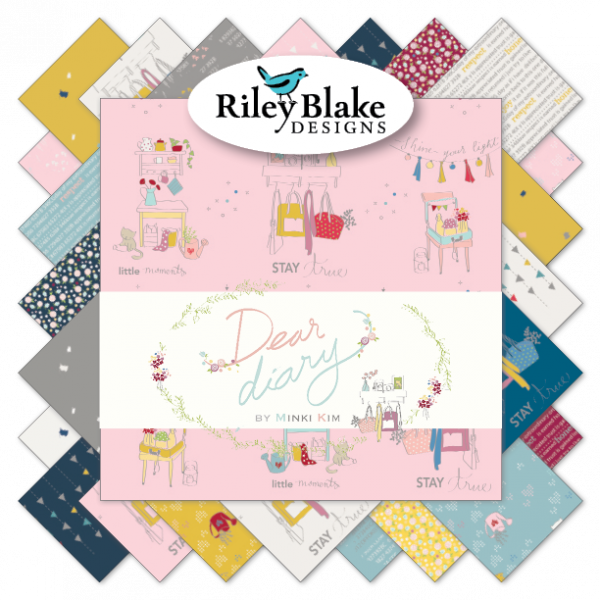 Oooh these makes of yours are so perfect for this new fabric collection! 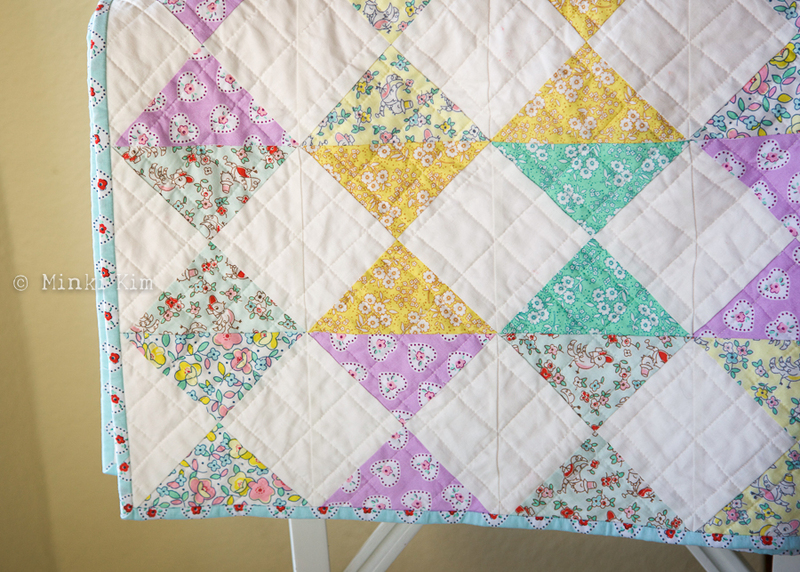 And I noticed how you matched up the fabric PERFECTLY on the dollies little undies! Yikes! Your little girl is a lucky one to have such a talented mama! I think you makes me the lucky one. How lucky I am to have a friend like you, Elise!! Your story reminds me of my childhood. I didn’t know how to make dolls but I played with paper dolls and barbie dolls and never got tired of. I am so grateful that I made a friend who can talk about doll stories. Thank you, Alisonann!! 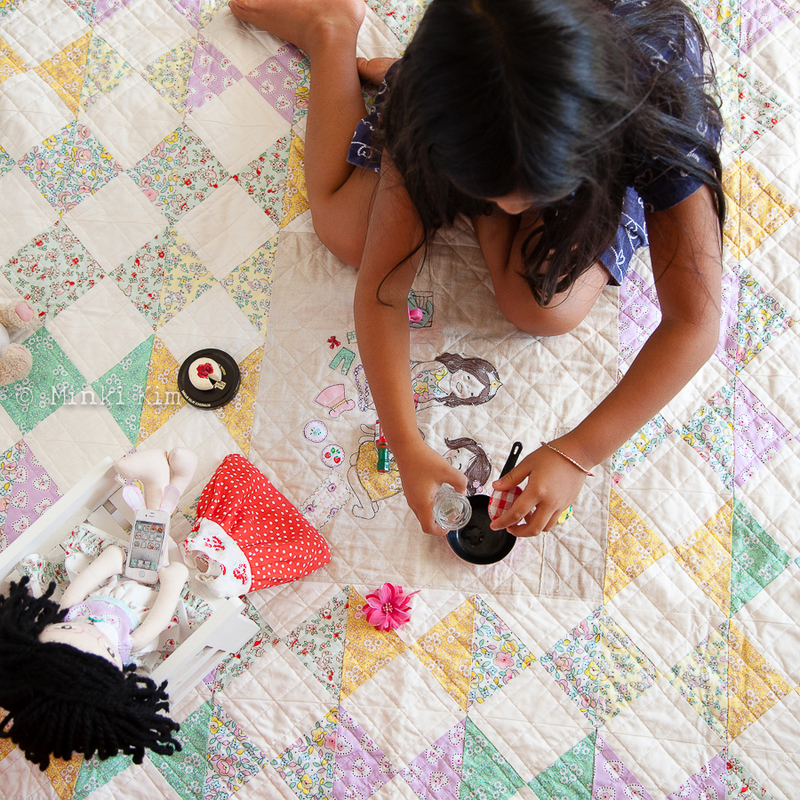 The doll and quilt are just precious! Claire loves her new doll but she is too honest. Her Builderbear bunny is the best, she said. You make the sweetest things. I cannot get over how precious that doll is … my heart was smiling the whole time!! Your work is such absolute perfection! You don’t know how precious your comment is to me. Thank you so much! I wish I could hug you!! A wonderful enchanting post! The doll dress is adorable. 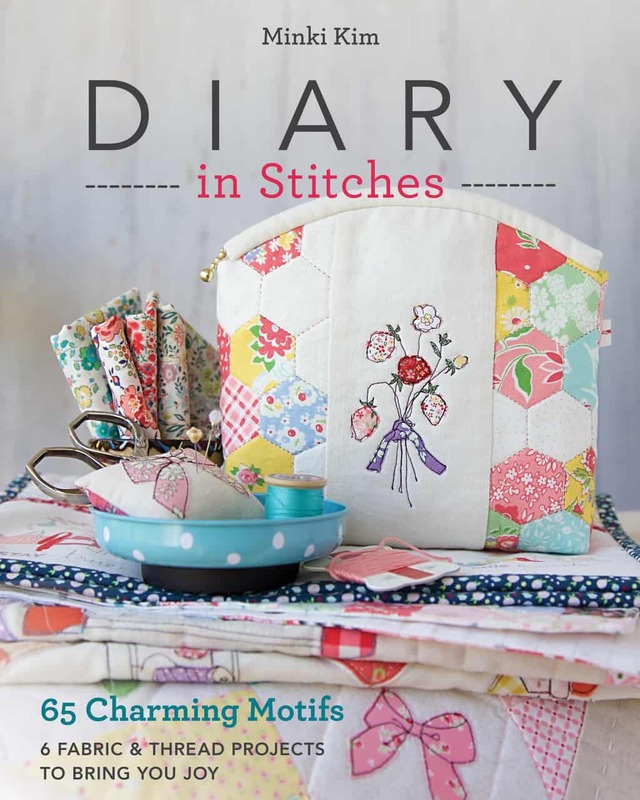 I am purchasing this fabric line to make a 30’s inspired quilt and could you please tell me what you solid fabric you used to co-ordinate with Little Dolly? 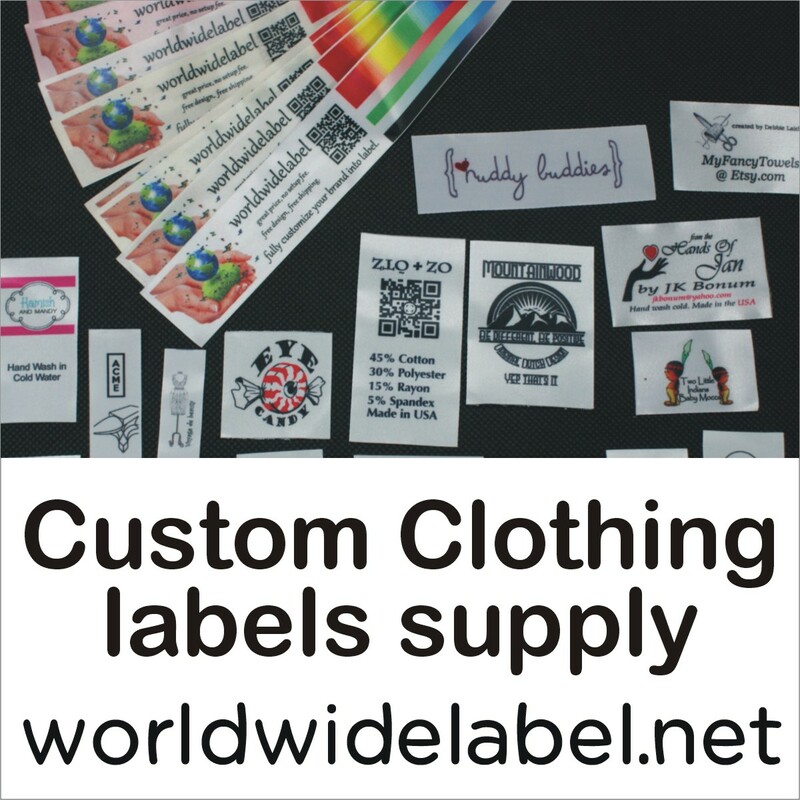 I would appreciate it as I have no store to compare fabrics and do my shopping online. 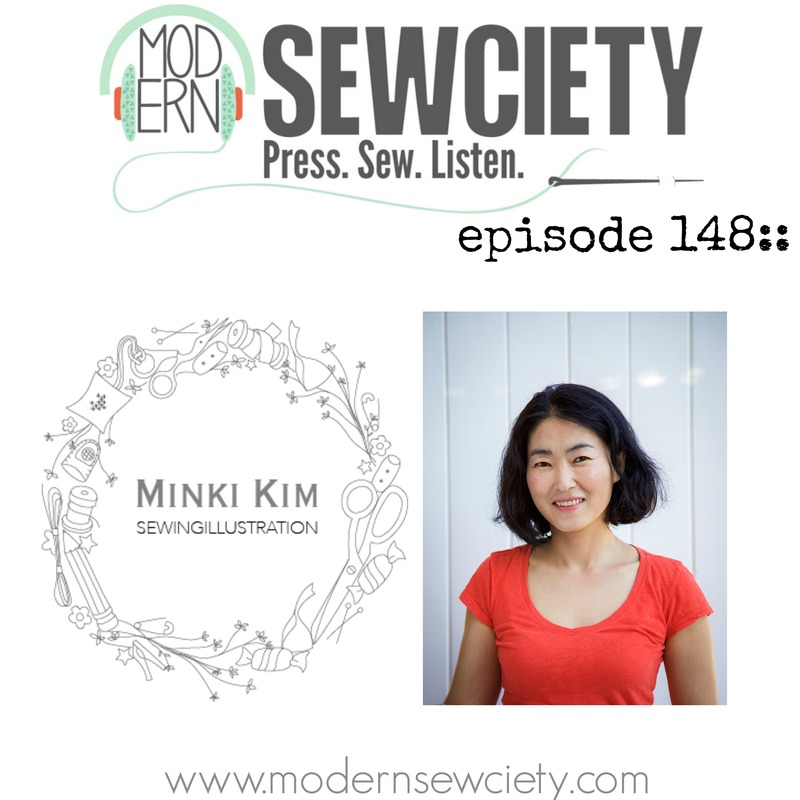 Oh Minki, you make the most adorable treasures! The detail that goes into your illustrated drawing is amazing! The little doll is as sweet as can be, and that dress!! That is one lucky little girl! 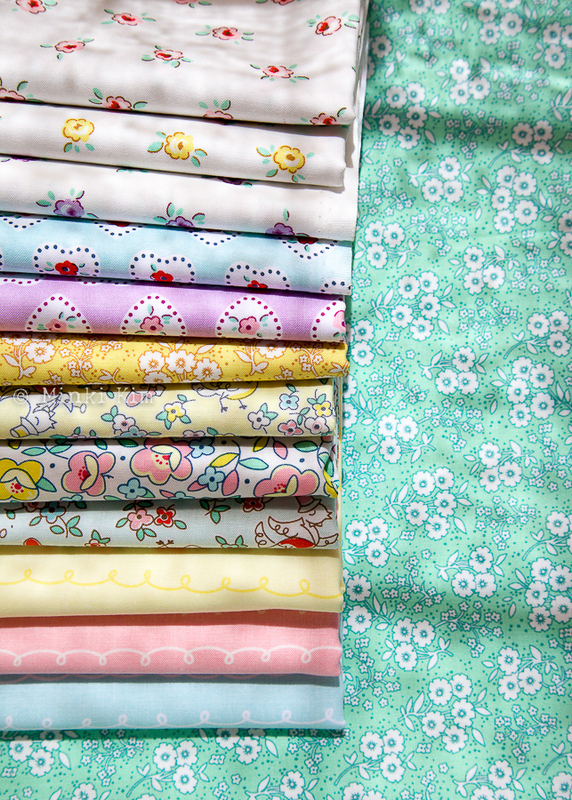 Really sweet fabric collection!